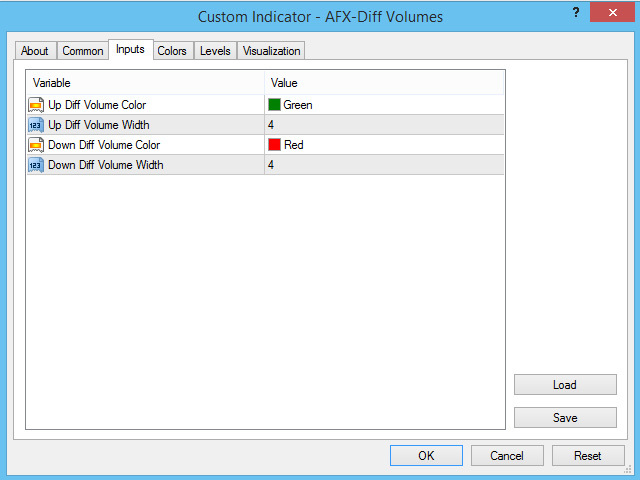 The "AFX Differential Volumes" draws differential volumes as histogram. 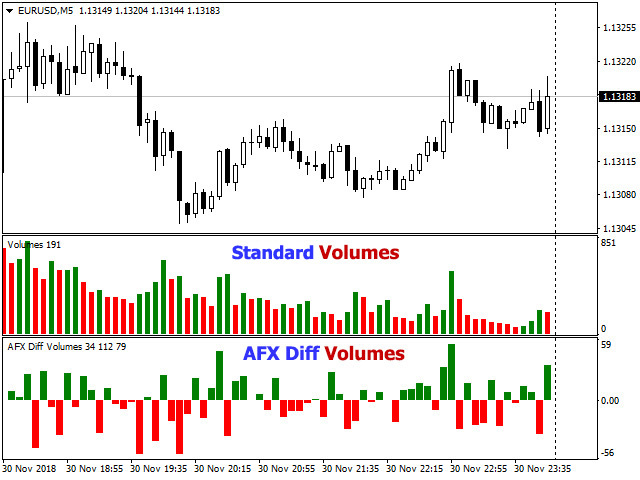 You can use "AFX Differential Volumes" Indicator with "Standard Volumes" indicator at the same time for better realizing the market. 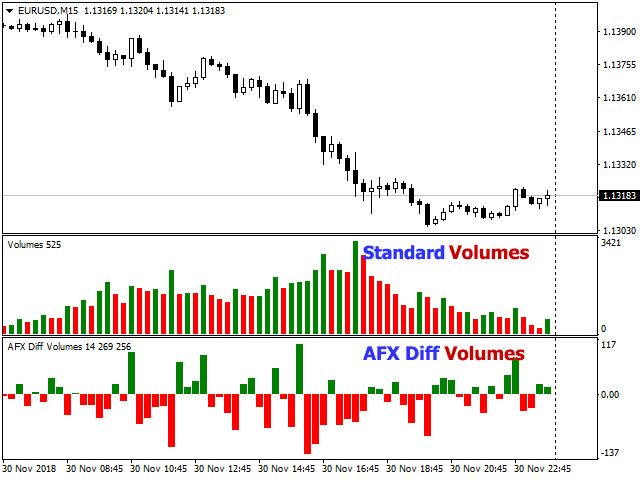 It calculates the diferential of volumes and then, draws it as histogram.